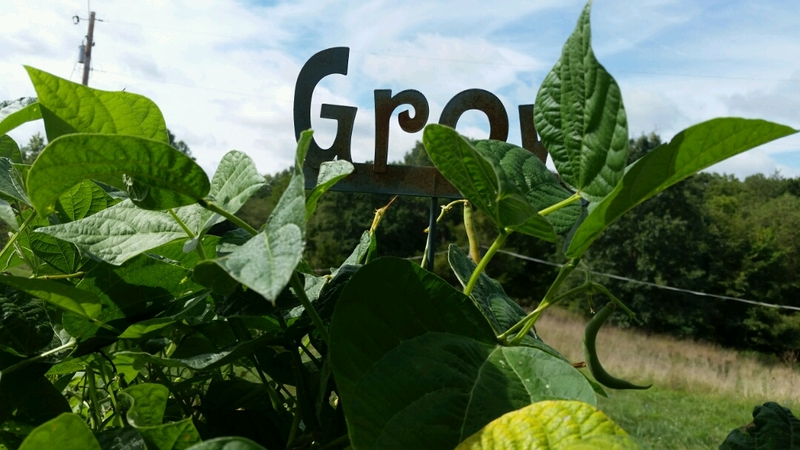 This bed of green beans was planted in April and has produced continually since then. There were, as usual, lulls, but after each slow period they came back and gave us another crop. The husband says it's because of the worm castings he added to the soil in the raised bed. Could be. I'm thinking we'll use more worm castings next year. 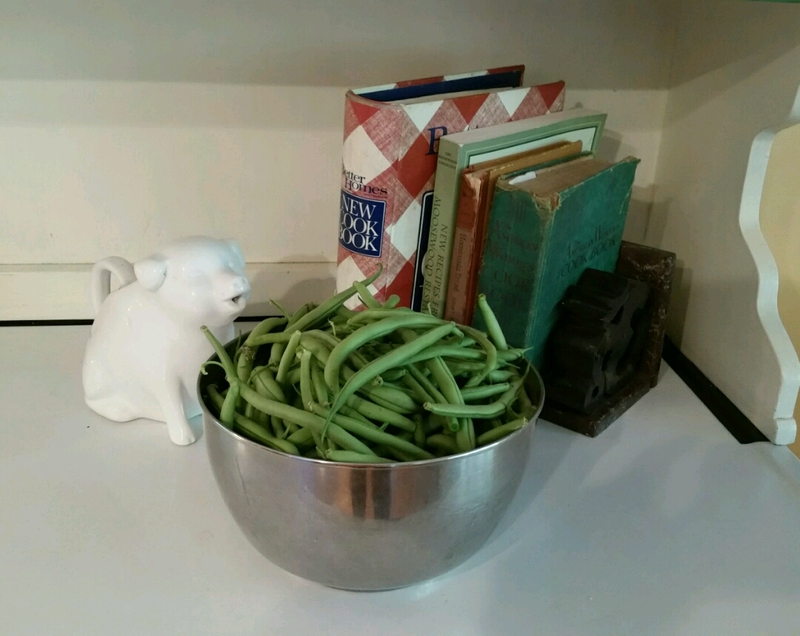 Having been two days since they were last harvested I checked them today and almost ran out of room in my bowl. I wasn't expecting the bounty, but am happy to have it. If I can dredge up some energy I will freeze this batch as I have yet to do any this season. Have some new green beans just starting to bloom that hopefully will do well too and I can freeze more from them. Picking the pears, plus few windfall apples. Husband says the pears are good. 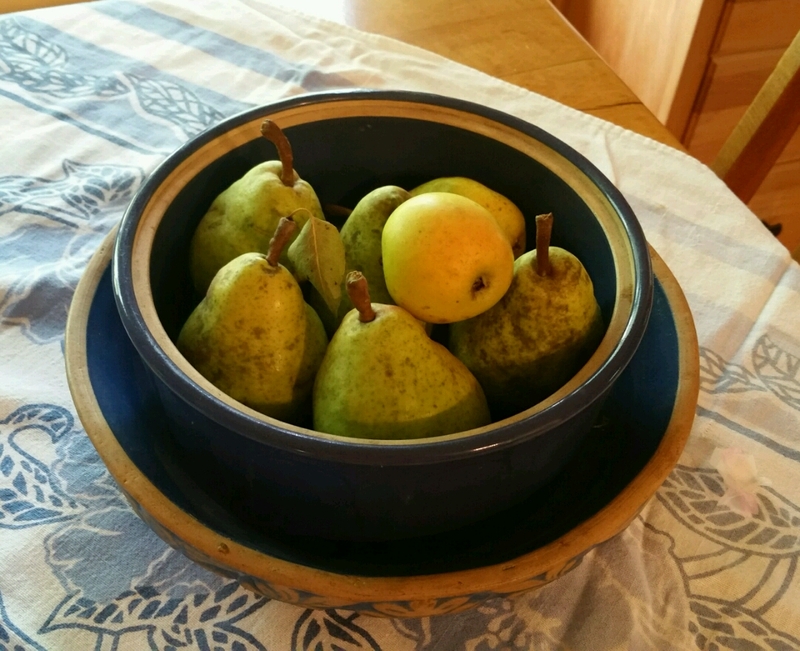 I haven't eaten any, but would be up for making a pear pie once we get enough ripe at the same time.